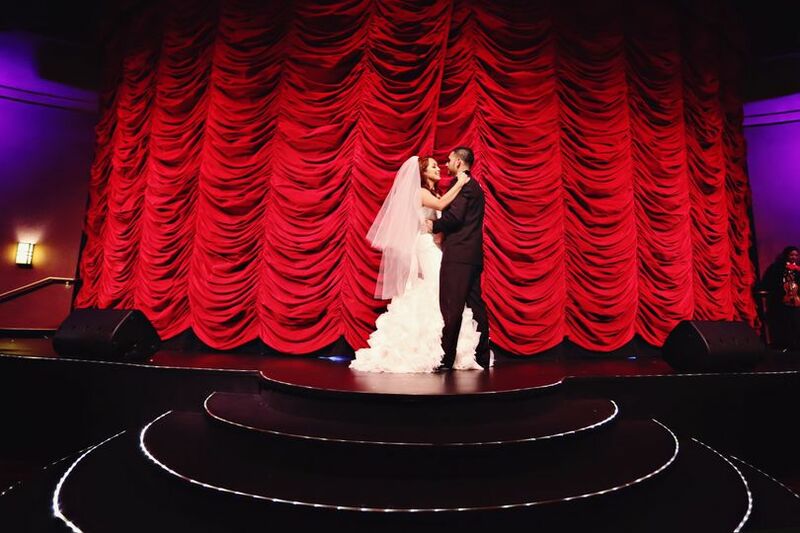 Center Stage Theater is an iconic theater and wedding event venue located in Fontana, California. Having been recently renovated, this amazing space offers some of the latest audio, video, lighting and presentation technology available. You will be able to impress your guests at this unique and artistic space. 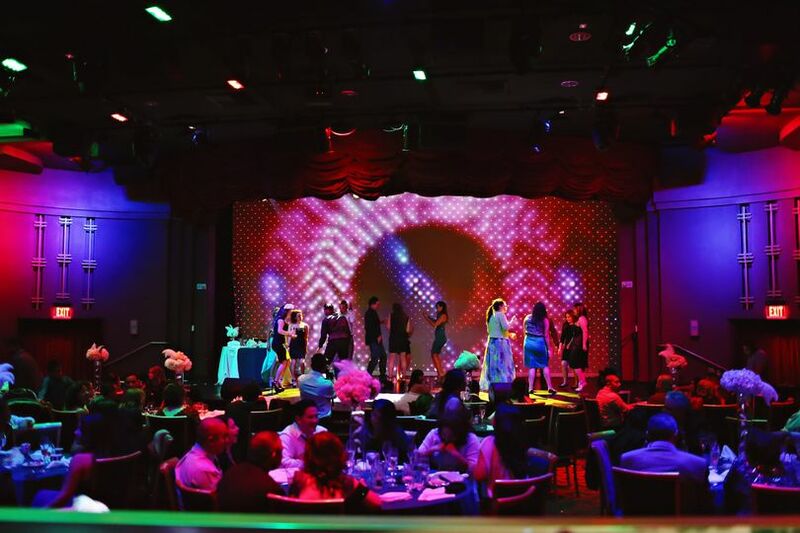 Additionally, Center Stage Theater features customizable menu options and a very dedicated staff. Since reopening in 2008, Center Stage Theater has produced lots of Broadway musicals and other productions. 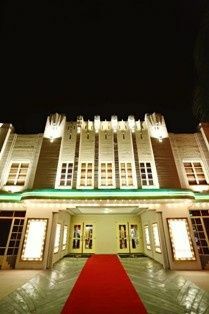 The theater also hosts corporate and organizational events for weddings and other large life celebrations. 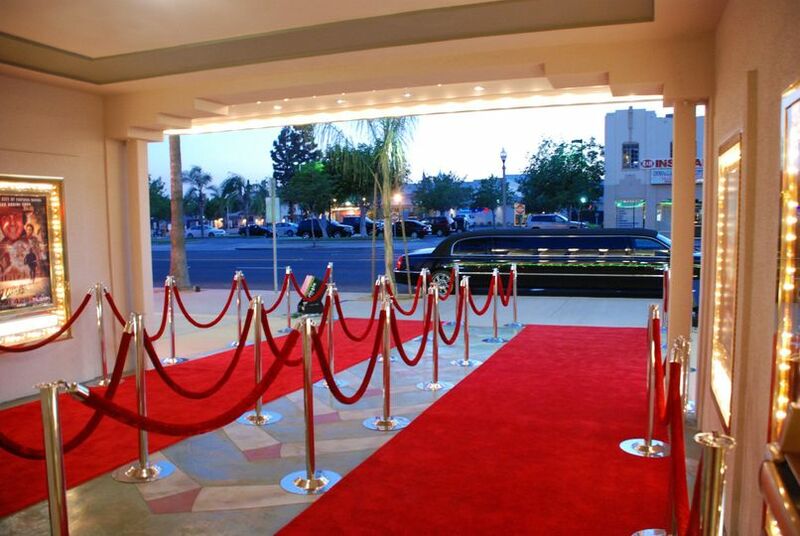 You will be able to host up to 172 guests at this venue. We called to make an appointment and see the venue. My wife and I had been to 6 different venues however, once meeting with Gina and the tour of the venue we were sold! During the planning stages our plans changed multiple times along with different packages. Gina many every change quick and painless. One month before our wedding we meet again to discuss seating, timeline of events, and answered any questions. On our day everything went as planned with our wedding reception being better than we could have imagined. This venue is very elegant and the food was wonderful. 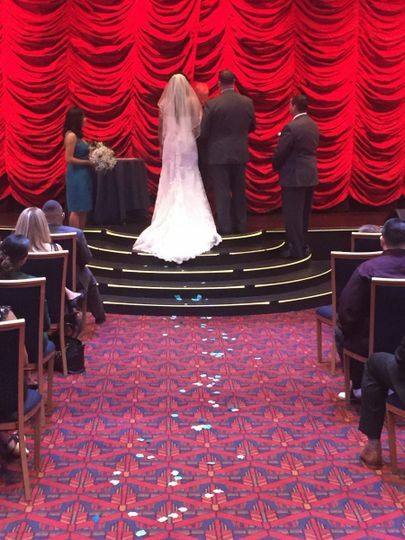 We recommend anyone planning their wedding to consider having the reception here! 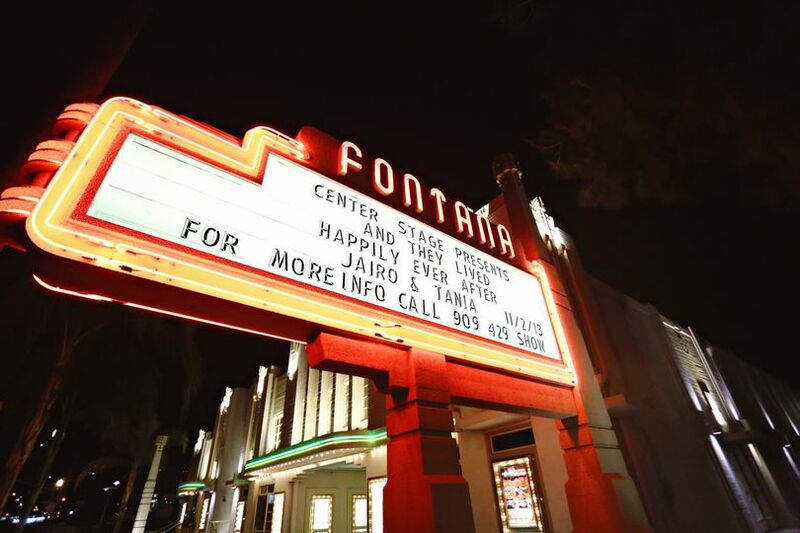 We had our wedding reception at Center Stage Fontana. 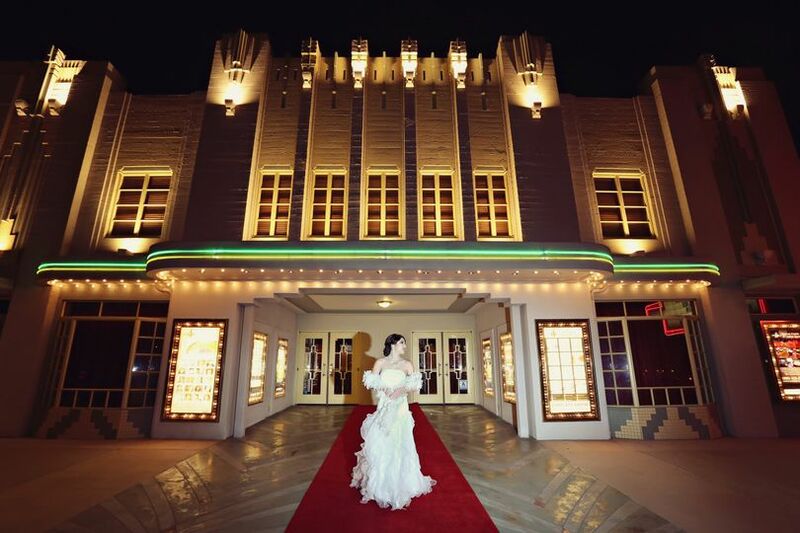 We thought this would be perfect for us, since my husband works in the film industry, and since the venue was quite unique. First, We loved working with Jenny and the staff at Center Stage! They were very friendly and accommodating, and really worked with us and our budget, which was awesome. I'm still amazed at the quality of food and service we were able to get for our budget! The food was good as well! Both Jenny, and Chef Ron worked with us to make sure that everything on our menu tasted and looked great! There were definitely no disappointments day-of! The filet mignon was cooked medium rare, just the way I wanted it to be, and the chicken was cooked just right as well. The venue itself was gorgeous, and with the upgrades to our china and tablecloths, as well as the amazing work of our florist from Irises Designs (I highly recommend him, btw), everything looked exactly the way I wanted. 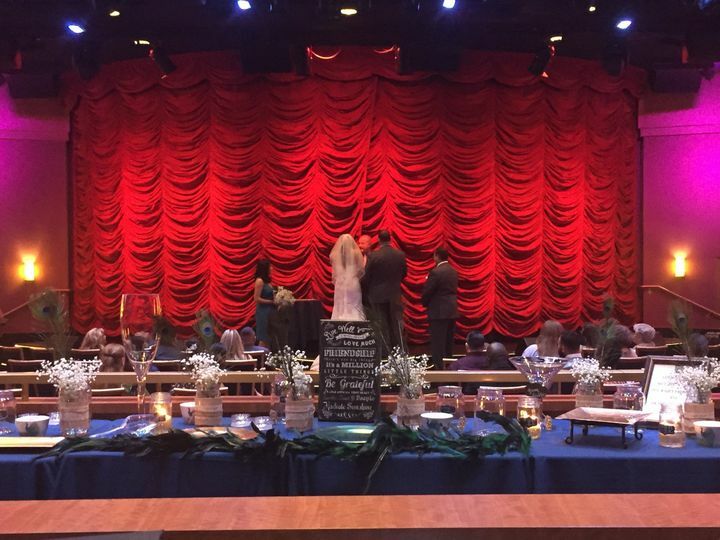 We really loved the way our reception turned out, and best of all, our guests had a great time!